I. Am. DRAGGING. Please tell me I’m not the only teacher who feels like they’re in the last tenth of a mile in a 5k? You, know … when you’re running and you just have to hit that goal and you won’t stop to walk or take a breath because that’d be cheating? Yup, that’s where I am in the year. We’re reviewing for EOC testing which I, like basically every other teacher who has taught EVER, hates with a fiery passion. It’s not that I hate assessments … I actually like assessing my students, and do so frequently. I want to improve my instruction. I want to know what they know and what they need to work on. However, I just hate the idea of assessing all of my students exactly the same way in a high-stakes environment. Boo. I had ZERO experience with gaming and concepts of gaming, unless you count Super Mario Brothers in the 90s …THAT was a video game, my friends! To supplement my lack of knowledge, I turned to my wonderful PLN via Twitter. Last school year, I figured out my XP and badging system and how they were related … and how they weren’t. This year, I added more levels to the “game” and became much more generous with XP. The result? The students loved it! However, I dropped the ball BIG TIME when it came to awarding badges for students who scored at least an 80% on the unit assessment on their first attempt. Like, I really think I’ve passed out two badges this year, and we’ve had a few more than two assessments. I will DEFINITELY pass out the badges for students before the end of the year, because I think that’s a big deal. 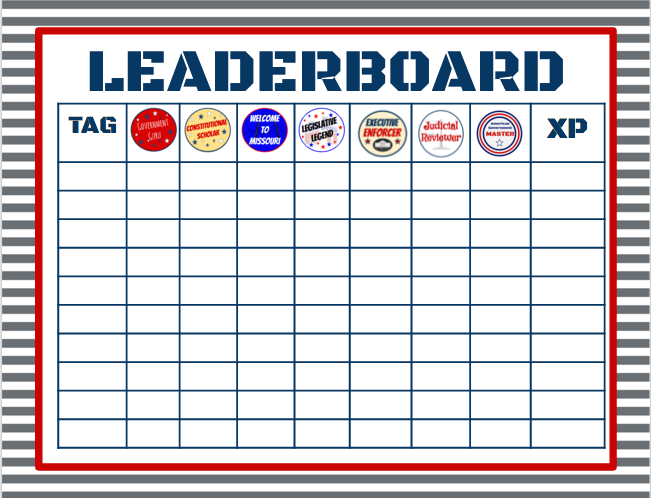 I’m also thinking of having them post their badges on a leaderboard … more to come on that soon. So … how have my students responded to their teachers’ badging blunder? They haven’t said A THING! They just want to know how much XP they have and when they’re going to level up! I have two students who are competing to see who can reach the final level first…it’s fabulous! After EOCs are finished, I will award students who score Proficient or Advanced on the test the “Master” badge, indicating that they’ve “mastered” the game. Check out my gamification plan and mhere. 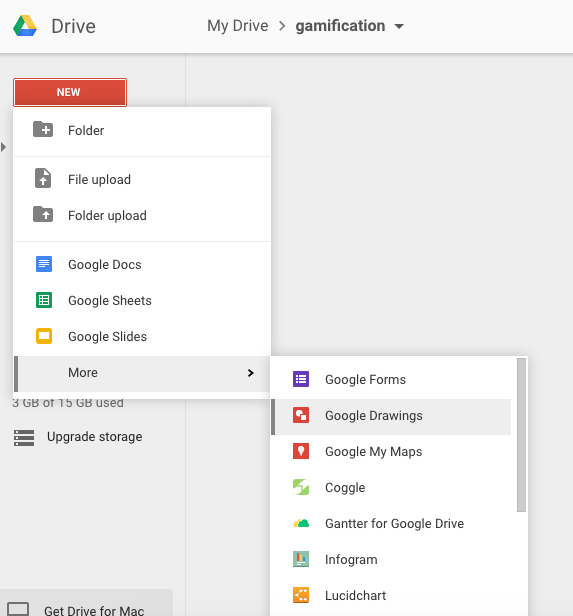 Do you gamify your classroom? Let me know in the comments! As my first full year in the wonderful world of gamification comes to a close, it’s time to reflect upon what worked, what didn’t, and where to go next year. –>> BADGES — >> Awarding badges to students for earning at least an 80% on the unit assessments was a HUGE hit! I originally gave students badges which represented a specific level they had reached. After a conversation with my PLN on Twitter last summer, I realized that giving students badges, and then making them essentially “pay” for tools to use on the test wasn’t exactly what I wanted to accomplish. I thought back to my days as a Girl Scout – I didn’t turn in my badges in exchange for anything – the badges represented something that I had achieved. THIS is what I wanted in my classroom! I was also interested to learn that students during this digital age were so adamant in receiving physical badges … I responded to that mandate! Things that could be BETTER! –>> KEEPING UP WITH XP –>> Holy moly, I need to do better with this. 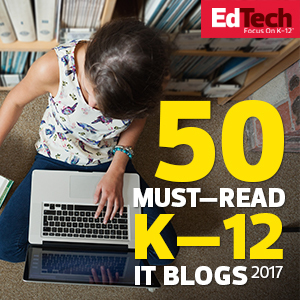 For each unit, students could earn XP for viewing/interacting with instructional videos, completing unit modules, participating in online discussion boards, landing a spot in the top 5 during review games, and more. Next year, I’ll make a habit of updating XP at least weekly – more on this goal later! –>>Reworking Levels –>> As I’ve shared in the past, I am a complete gaming novice … unless we’re talking about Super Mario Brothers of the 90s … in that case, I’m awesome. Therefore, I really have NO CLUE about levels (other than warping-wow, I’m dating myself! ), specifically which colors or precious gems are “higher.” With the help of my students, I’ll be reworking my levels to be sure that Ruby and Emerald are higher than Silver. Apparently, that’s a big deal?! –>>Side Missions–>> I dabbled in Side Missions this year, specifically with my end of the year meme activity – holy moly, this was so much fun! A correlation, at least in my mind, can be easily made between Side Missions and bonus opportunities in a “traditional” classroom. I will DEFINITELY “level up” my Side Missions game next year – so many puns – ha! When I began my gamification experiment this year, I asked the students in my classes a simple question: would you rather have digital or physical badges? I was ABSOLUTELY surprised when my students overwhelmingly demanded physical badges. Even after I said that these badges would be simply be printed on card stock, they were adamant! I originally thought that these students, who are digital natives, learning in a 1:1 classroom environment would be in favor of digital badges. I thought that they might see physical badges as too elementary or kiddish for their learning. When the time came to create the badges, I was at an absolute loss. I had researched various tools to create digital badges but didn’t have the slightest clue about designing badges. I’m not the artsy type 🙂 Seriously, stick figures are a real struggle for me. 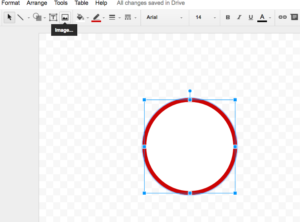 Thank goodness for Google Drawings! 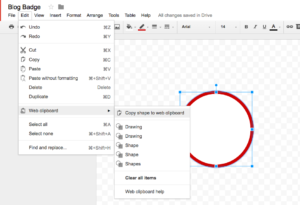 Google Drawings is definitely one of the lesser-known Google tools, but it is rightfully gaining more attention. 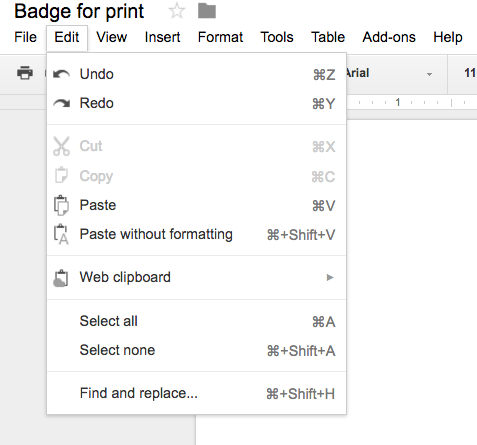 When you’re happy with your badge, you’re ready to print! 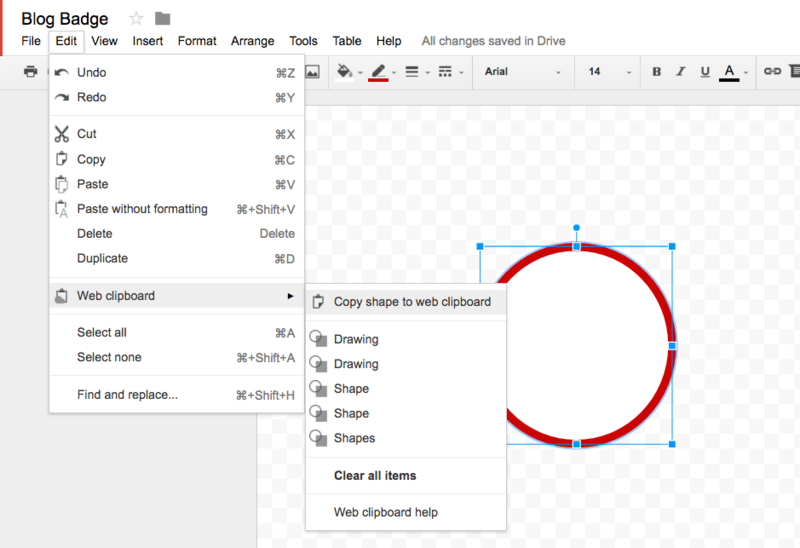 There are many ways to print from Google Drawings, but I choose to use the “Web Clipboard” feature of Google Drawings. 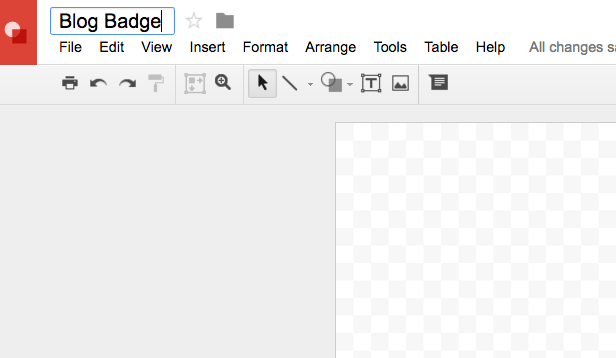 –>Next, open a Google Doc – RENAME THE GOOGLE DOC! 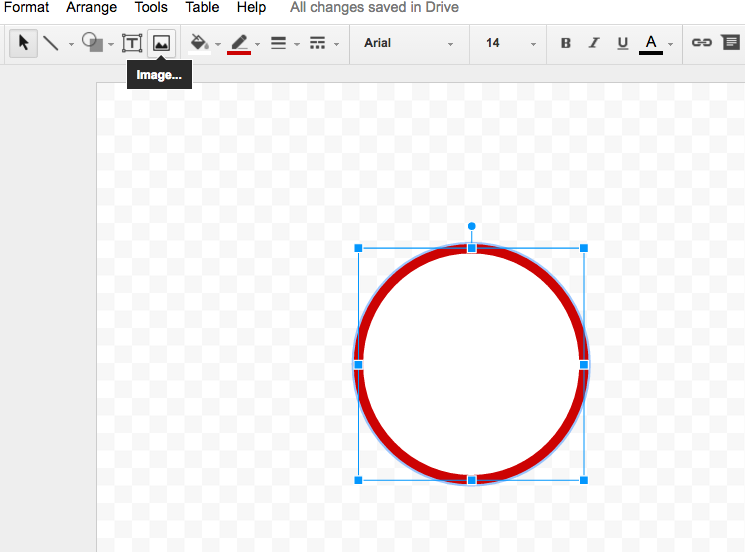 –>Now, resize your badge to the desired size, copy your drawing and print! I LOVE creating badges for my students. In fact, I most likely have WAY too much fun doing so. I love coming up with unique titles and designs … and the puns are just fantastic! If you’d like to view a quick video tutorial, check out the YouTube video below! How do you make badges for your students? As a gamification novice, I will be the first to admit that I walked into Mission: American Government (the name of our “game”), I really wasn’t sure how it would work out. After establishing how students would earn XP and what tools they would be able to use at the various levels I’d created, I then turned to my PLN on Twitter to learn about badges in the world of gamification. Thank goodness for my PLN! Through about 15 minute conversation in the twitter-verse, I began to revise my thinking on what the badges were and how they should be earned. In my first gamification experiment, I awarded badges to my students for reaching a certain XP level, and then they traded in those badges for a specific reward. However, I thought back to my younger days when I was a Girl Scout. We earned badges after completing a task … showing that we had grasped a concept. These badges were then displayed. We didn’t trade in badges for any specific tool. These were proof of our success in a given area. Let’s call this my first “ah-ha” moment of my gamification journey. If you’d like to learn more about my gamification process, please check out my first semester reflections. Back to the badges. When I introduced the “game,” I surveyed my students, asking whether or not they would appreciate physical badges or digital badges. The result was overwhelming in favor of physical badges. 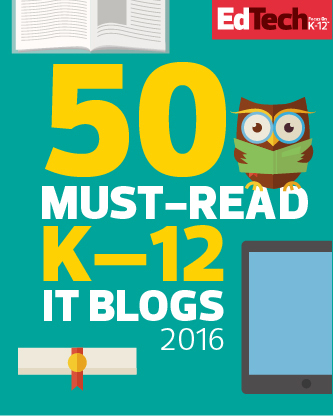 This really surprised me … we are talking about students who live in the digital age, after all! As the tests were administrated and badges awarded (for scoring at least 80% on the first attempt), more and more students asked what they were supposed to do with the badges. Would they be worth something at the end of the year? “It’ll be a surprise!” I responded. Each badge a student earned throughout the course of the year will be worth 75 XP. This will level up many of my students. 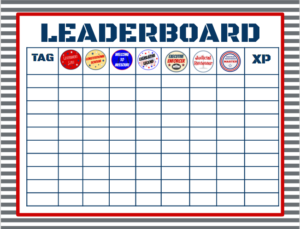 At the end of April, when XP has been updated, I plan to create a “hall of fame” to display on one of the bulletin boards in my classroom. Students with the highest XP (maybe the top 10?) will have their gamer tags and total XP displayed in this hall of fame. Then, I will award 5% of each student’s total XP as bonus points for the semester. In my mind, students will have “won” if they pass the class. 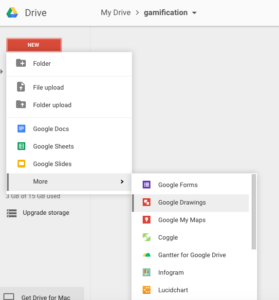 How do you end your “game” in your gamified classroom? Toward the beginning of last week, I was FINALLY able to start reading EXPlore Like a Pirate in the hopes of vamping up my gamification … well … game in my classroom. This was 100% my reaction to the first few pages of EXPlore Like a Pirate. The world of gamification has always been slightly terrifying to me…if you’ve read my posts on gamification, like this one, you know that my experience with gaming is limited to Super Mario on the Nintendo gaming system of the 90’s. I am not a gamer, so if this doesn’t make sense, TELL ME, and we can fix it! I think by admitting my lack of gaming experience, and by encouraging my kids to give me their input on my experiment, it showed that I value their opinion and expertise. That can be huge in the classroom! In addition to my lack of gaming experience, the idea of being motivated by something other than grades and a personal desire to score well is quite foreign to me. These ideas, as well as a personal disgust of failure or being less than what I could achieve (yes, I’m a type A personality gal!) were EXTREMELY motivating to me! My parents had high expectations for my grades, and I wanted to meet those expectations, partly to keep my cell phone and car keys, but also to prove that I could meet their expectations. And I am incredibly thankful for their expectations! Thoughts on EXPlore Like a Pirate and gamification in the classroom! 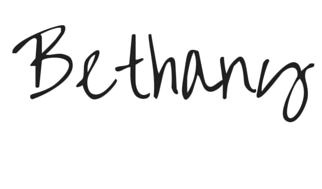 Wow, this post is quickly turning into something besides a review of the first part of EXPlore Like a Pirate!! I learned in my early days of teaching a very simple lesson: every student doesn’t learn the way I did. Every student isn’t motivated the in the same way I was…and that’s ok! Branching out to try new instructional and motivational strategies to help students succeed is part of what makes teaching fun, and EXTREMELY challenging. I can’t wait to dive deeper into this awesome book! Be sure to join the #XPLAP Twitter chat on Wednesdays at 7:00 PM CST to share your thoughts and learn more about the wonderful world of gamification. Or, if you’re like me and can’t jump in on Twitter, check out the Twitter chat feature over at Participate Learning to catch up on the discussion! Seriously, if you haven’t checked out this new feature at Participate Learning, read this post and check it out! I’ll be sharing my thoughts on Chapter 2 soon!